Please do not use the pay online system if you are in termination status for non-pay. Effective Dec. 1,2014 a processing fee will be applied to all online payment transactions. 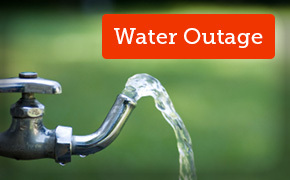 Water Outage on Madison Blvd. Service should be restored by 8:00 p.m.
Do you live in Madison Highlands or travel the roads in this Subdivision? MU will begin a major rehabilitation project soon. more info. Have you received Solicitation for Water Quality Testing?? Please be advised there have been reports of companies who are soliciting to test for water quality and then are providing inaccurate results in order to persuade consumers to purchase their products. Madison Utilities conducts thorough testing thoughout the year in order to ensure our water is in complete compliance with all state and federal laws and regulations. You can view our most current Water Quality Report here. If you have any additional questions or concerns, please contact our office. Online Account Access.. New Version is effective today! You will use your email address and the same password as before to login.. Please contact the office @ 256-772-0253 or by email at custserv@madisonutilities.org if you need assistance. Lobby and Drive-Thru Hours: 8:00 a.m. - 4:30 p.m. Call Center Hours, remain the same: 8:00 a.m.-4:00 p.m.
As reflected in attached press release from ADEM (the Alabama Department of Environmental Management), Madison Utilities is not among the water systems in the State of Alabama which have received tests results reflecting concentrations of Perfluorooctanoic acid (PFOS) or Perfluoroctyl Sulfonate (PFOA) at or above final health advisory levels. In fact, tests performed at the direction of ADEM confirm that neither PFOA nor PFOS are found in any detectible levels in Madison Utilities’ finished drinking water. All such tests were performed in compliance with Rule 3 of the Environmental Protection Agency’s (EPA) Unregulated Contaminant Monitoring Rules. New Rates in effect, more info. Madison Utilities Receives ALM Silver Risk Management Award!!! All pool Adjustments will require a request form to be submitted to the office. You can find the request form under Customer Service/Common Forms. Please contact the office for additional information. Water treatment expansions and other facility projects are underway. Congratulations to Madison Utilities Wastewater Plant!! For recognition by Alabama Water and Pollution Control Association and being given an Award of Excellence for Operations Achieved by the Plant Operators During 2014. Effective Dec. 1, 2014 a processing fee will be charged for all credit card payment transactions. 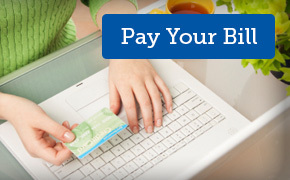 To pay your bill by phone please call 1-800-781-4490, convenience fees are applicable.